I think that might be your pubic bone. Edited to add: Go to the Community FAQ and read the Virgin's Guide to Cups. Also check out the various size and capacity cups to compare the 30+ brands of cups available nowadays. Also read the post about Myths. And anything else that interests you. 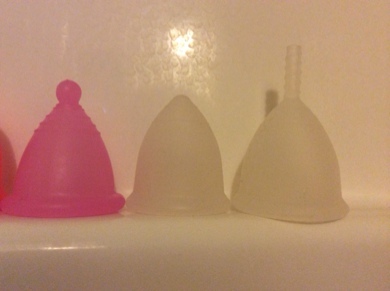 I have the same issue and I use a diva cup with the stem cut off and turned inside out. I am looking at getting a meluna at some point. I thought the same thing when I checked my cervix, too! For 35 hours of my 5-6 day period, I have a very low cervix. Same as you, one knuckle in or so! 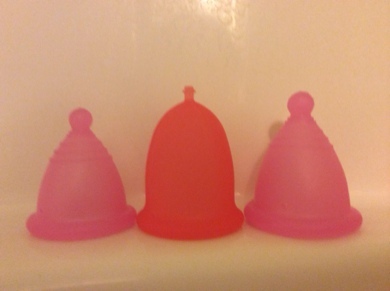 I use SckoonCup size 1 & 2 at different times during my period. I am however 32, married, and no kids. My friend who has a daughter that is 17 and a virgin has a low and high cervix during her period. She has found that SckoonCup size 1 works for her well for numerous reasons. It did take her about 3 cycles to adjust, get comfortable with insertion and removal. SckoonCup is soft and squishy, yet has a stronger rim that allows it to pop open, which can be easier for a virgin. I also like the shape (bell shape) for my low sitting cervix. My cervix is low, though not quite as low, and I use the small Si-bell, small Fleur, small Sckoon, 1&2 Eco cups, small Mamicup, Rubycup, and various Melunas successfully. They all have their advantages and disadvantages, with the Si-bell, Fleur, and small Eco being my favorite ones of the bunch. They pop open easily, and are super comfortable to wear. I also love the mini Melunas, which are almost a category of their own due to their awesome shape, though I prefer silicone to TPE. Or you could try the Eco-cup/Lybera size 2- similar shape and size like Meluna Mini M ( a tiny bit wider at the rim) if you cut off the stem. Below: Meluna Mini M, Eco 1, Eco 2. The eco 2 feels a tiny bit softer than the soft Meluna mini M. It is thinner walled than the Meluna, and the rim on thne eco is not as defined (a bit thinner). Also, Meluna is working on updating their minis within the next month or so, with 4 mini sizes (!!) , so I'm curious to what the changes will bring. Since i had aleady inquired about sizes and the Xs a while back, i resend them my questions in regards to size and onlline availability - hope they'll answer! They had mentioned that they would make it easier for international buyers tio prchase their cups online, so ther'es hope. It will definitely be on the expensive side, though! The little eco-cup has totally turned into my favorite cup of them all, for when I don't need the larger capacity. The Mialuna S is 41 mm in diameter, and 47 mm long, with another 25mm for the stem. Awesome. I so hope it works for you! How much did you end up paying for the cup? I just noticed that coppetta-mestruale.it has the eco-cups in fuchsia, but you can only see them if you click on eco-cup; the fuchsia does not appear as an option in the shop. Now, I am thinking I may NEED to buy one... It's so pretty! Aw man! I can't believe I missed out on fuchsia by a month. Just recently bought my Eco-cup 2, but there was no fuchsia. I totally would have gotten it!